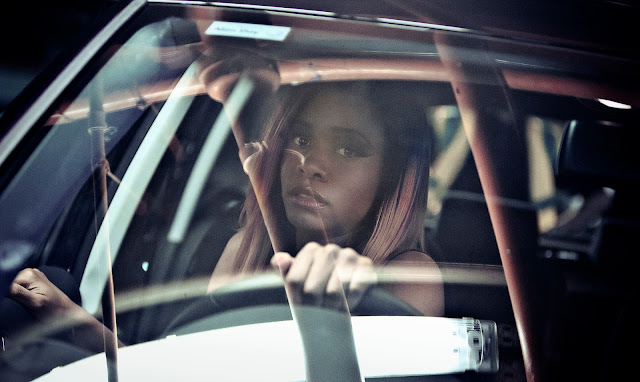 Regretfully, this round of offering some of the most compelling, independent genre work featuring women of color talent (in front and behind the camera) is long overdue. 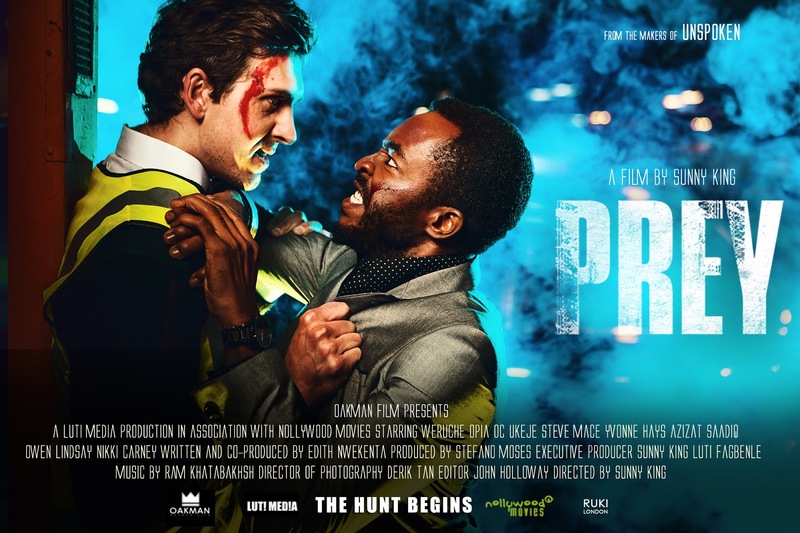 Prey, the suspense thriller from filmmaking award winners, screenwriter Edith Nwekenta and director Sunny King asks, "What if a woman was trapped in a car park?" Ebele (Weruche Opia) and her friends return to a car park in the late night after a birthday party. After saying goodbye to her friends, she gets to her car but discovers that it won't start. A man she had an earlier encounter with, Obi (OC Ukeje), approaches and she reluctantly asks for his help, only to find out things are not what they seem. Prey has gone on to become "the first Nigerian film to be selected for the 2015 Screamfest Horror Film Festival" in Los Angeles and delightfully described as "a short film in the tradition of classic Alfred Hitchcock psychological suspense thrillers....." Further, Prey's uniqueness stems from its demonstration of "African cinema showcasing genre filmmaking in Nollywood cinema." "I've always wanted to do a thriller film. I love scary films. And Prey was a perfect opportunity..."
King is heavily influenced by 1920's German Expressionism and post-war Japanese cinema. The combination of bleak, noir tones and overall insight into film style has made Prey a compelling piece of suspense that's "a cross between the horror, thriller and slasher genre." Prey is one of the best examples of short films done right. In its alotted time, it manages to paint believable characters in a suspenseful atmosphere with sharp, deliberate strokes that are brilliantly immersive. The film is still making its festival rounds. 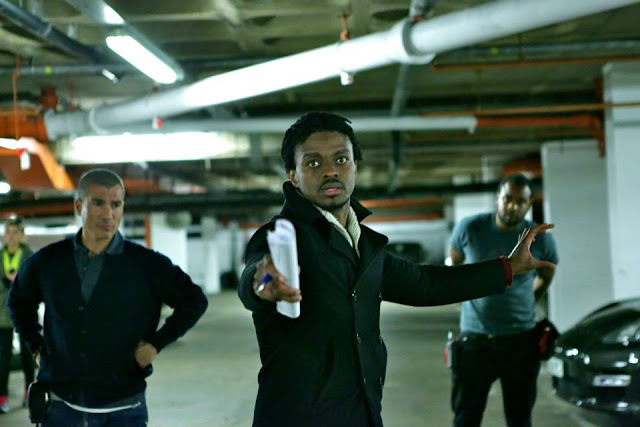 If you happen to be in the Los Angeles area, Prey will be screening at the Pan African Film Festival 2016 on Friday, February 11th and Sunday, February 13th. Details here.